Park users can enjoy many different activities in the Cherokee County parks. ATVs and UTVs are NOT allowed in any of our parks, trails or roads. Due to varying habitat, many parks are home to a variety of bird species. Want an up close look? Visit our bird blind at Silver Sioux Recreation Area. The Inkpaduta Canoe Trail on the Little Sioux runs from Spencer, in Clay County, Iowa, to Smithland, in southern Woodbury County. This span of river is approximately 134 miles in length. The Cherokee County Conservation Board maintains 12 river access areas from the northern county border to the southern. These various access points permit paddlers to experience a relaxing 1-4 hour float or to escape for a camping and floating adventure of over 3 or more days. Martins Access includes five miles of marked horseback riding trails. The trails wind through woodlands and prairies, crossing small streams and bringing riders near to the banks of the Little Sioux River. Due to the steep terrain and rare plant communities within the park, horses will not be permitted on trails during wet conditions, nor may they be ridden off-trail or on trails marked with "no horses" signs. Trailer access & parking is only permitted at the South Gate. Trails are day-use ONLY, overnight stays are not allowed. Trails are closed annually from October 1- May 31. 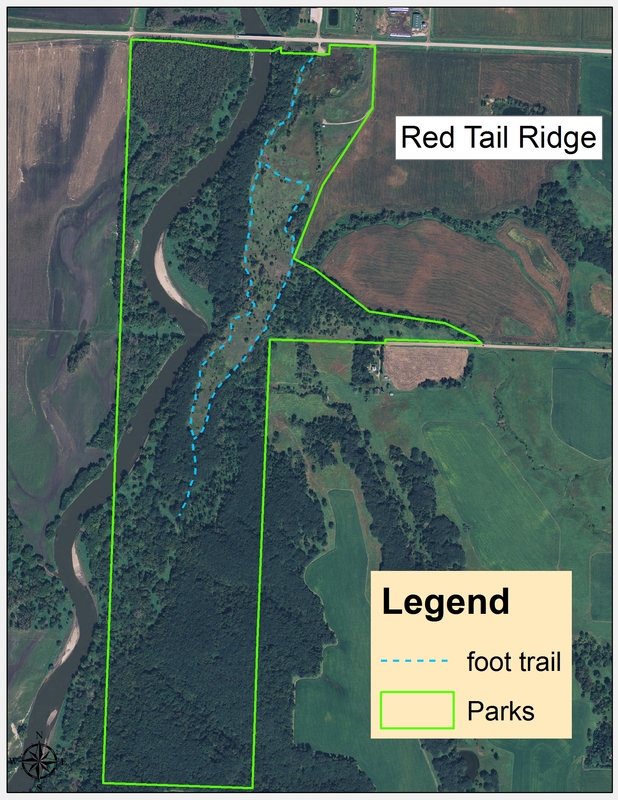 Parks providing access to the Little Sioux River provide access to a variety of fish species. Main river species include catfish, walleye, and northern pike. Larson Lake, a small 5-acre lake, provides access to several pan species of fish such as bluegill, bass, crappie, and perch. No motorized boats are allowed on Larson Lake. No special permission is needed to add caches or to search for caches. Snowshoeing and cross country skiing are allowed in any of our parks. Snowmobiling is restricted to park roads ONLY. Ice fishing is allowed on the Little Sioux River or Larson Lake.